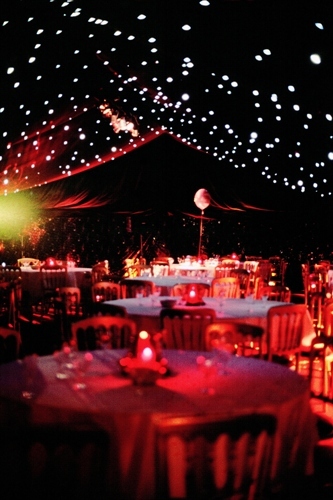 A Marquee Makes A Great Party Venue! Make your party a special occasion. 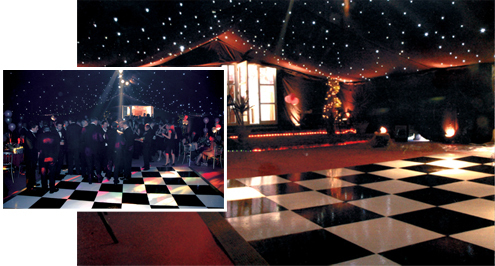 For parties large or small, a marquee is an excellent venue inside which you can bring together a theme or idea to make the occasion memorable. We can supply various styles of chairs and tables, stages, dance floors, heating, lighting and linings. A star cloth provides a magical look to any party. A marvellous effect results from lighting up an area outside the marquee, i.e. your garden, trees or a particular garden feature. 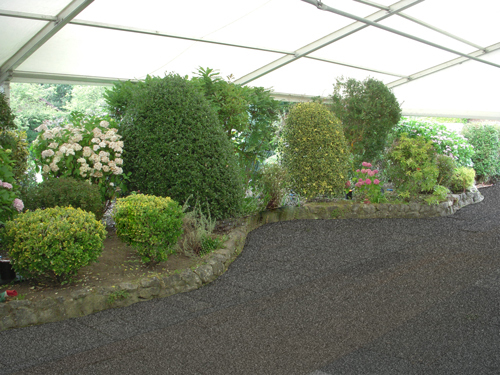 The below photo shows the structure of a marquee incorporating a great garden feature before the marquee is finally finished with linings. We can also supply, if required, loos, heating, plus a bar with fully licensed bar staff.